Vokèra boilers and heating products are used by more than one and a half million customers across the UK and Ireland. And for good reason, the Linea One in particular is one of the more recent offerings of a condensing gas boiler from Vokèra. Featuring advanced technology, this boiler has one of the lowest emissions ratings in its field and boasts high efficiency, helping to save you fuel. This product allows for instantaneous heating and hot water, with a high domestic hot water flow rate of 15.6 litres per minute - that's some impressive numbers! And as there’s no need for a water cylinder or tanks, you save space with this one too. An LCD display helps you view the current status operations of this product so you know what's going on. 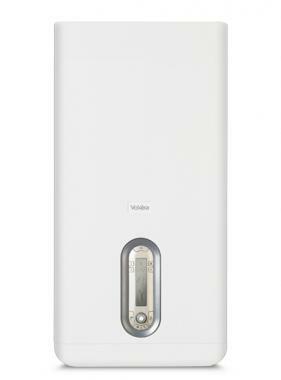 This boiler is 93 per cent efficient when installed with the external sensor provided with the appliance.